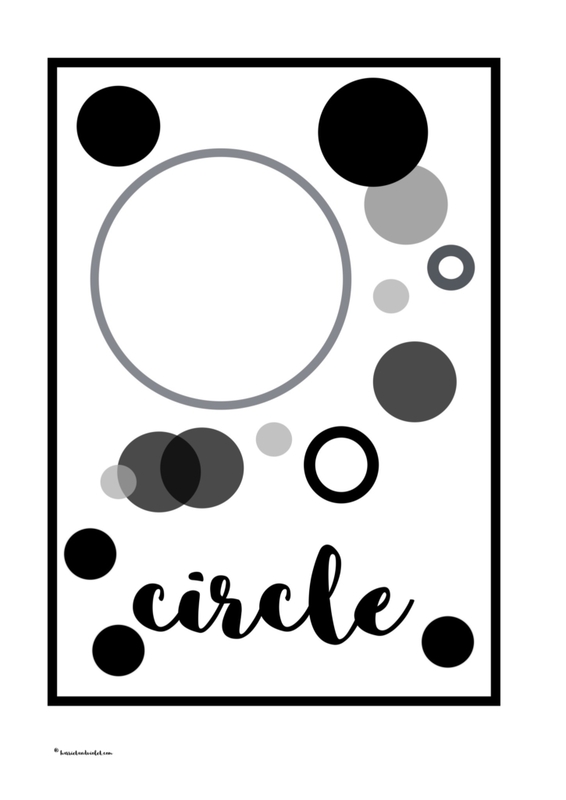 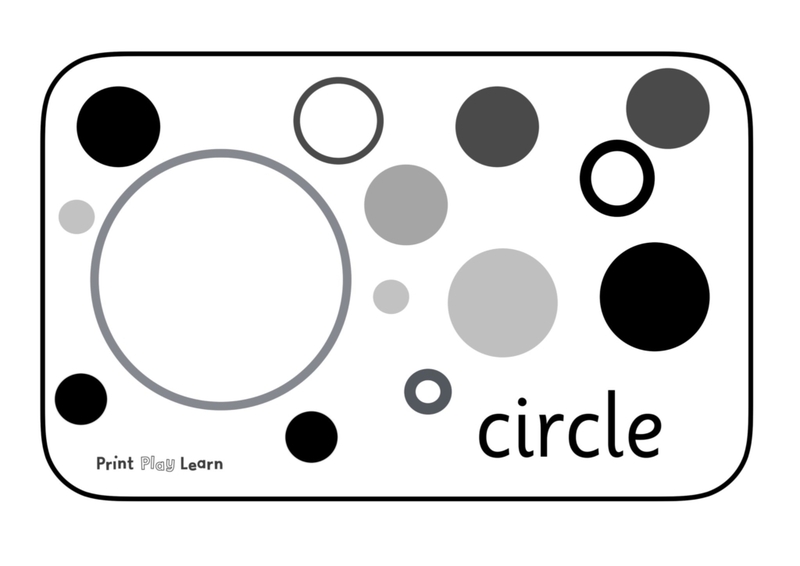 Use as a shape posters in a classroom or reduce the printing size to make little flashcards. 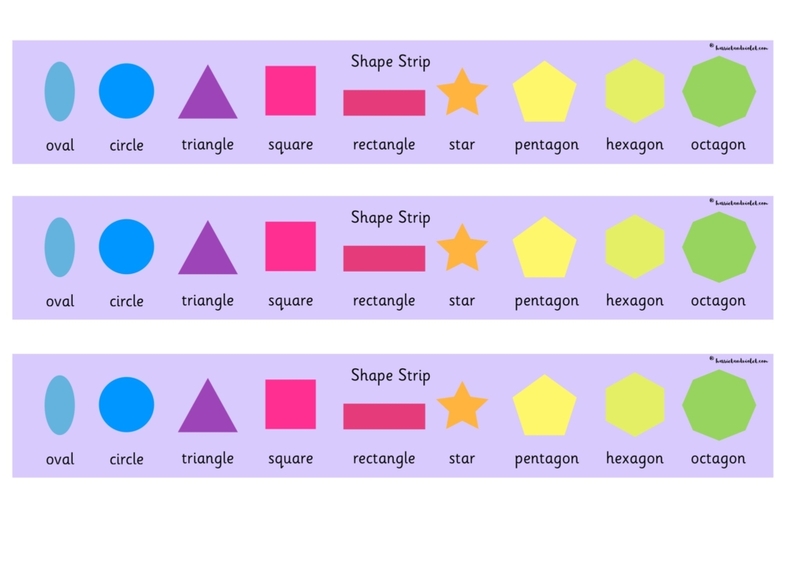 Allows children to see different size and rotation of shapes. 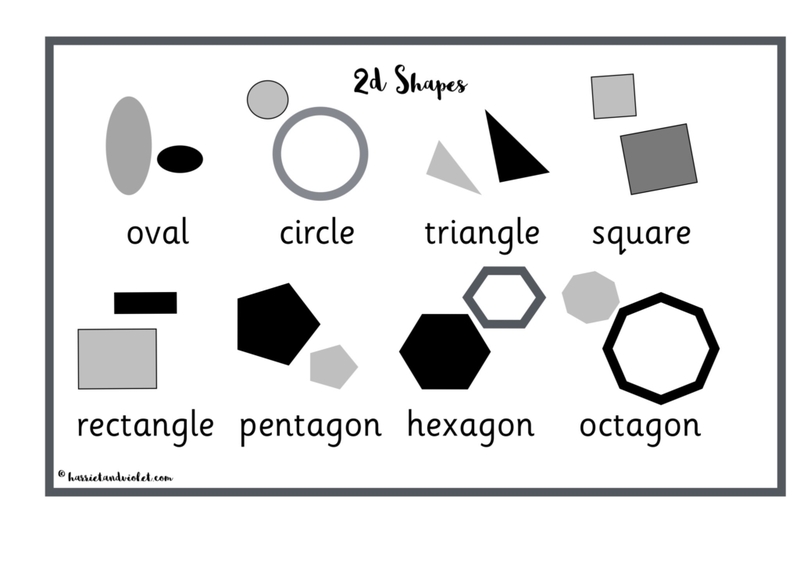 Includes; circle, oval, square, rectangle, triangle, pentagon, hexagon and octagon.